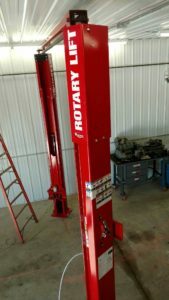 Replaced a Rotary DTO28 air over hydraulic inground lift with a new Rotary SL210 inground lift with conventional controls. (Finished product not pictured due to painting and clean-up). 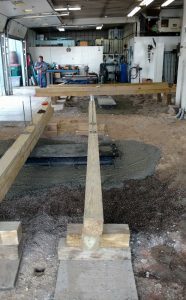 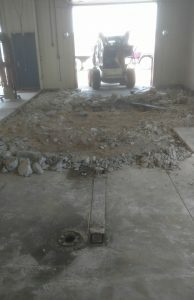 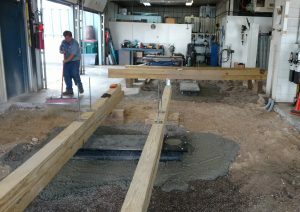 Concrete floor was finished by Ron Speltz Concrete (not pictured). 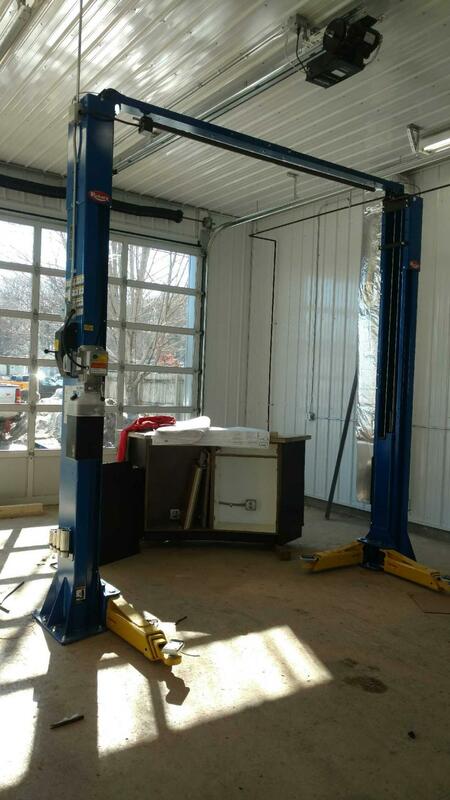 This lift will give them 10,000 lbs weight capacity compared to the 8,000 lbs from the previous lift. 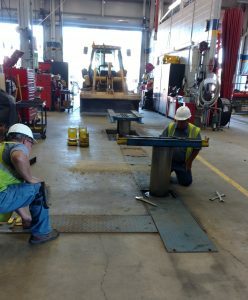 Out with the old and in with the new! 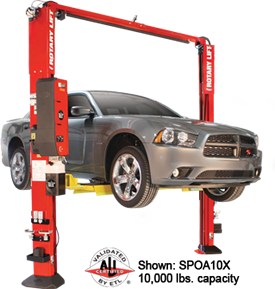 This is the new vertical rise Rotary V-Rex. 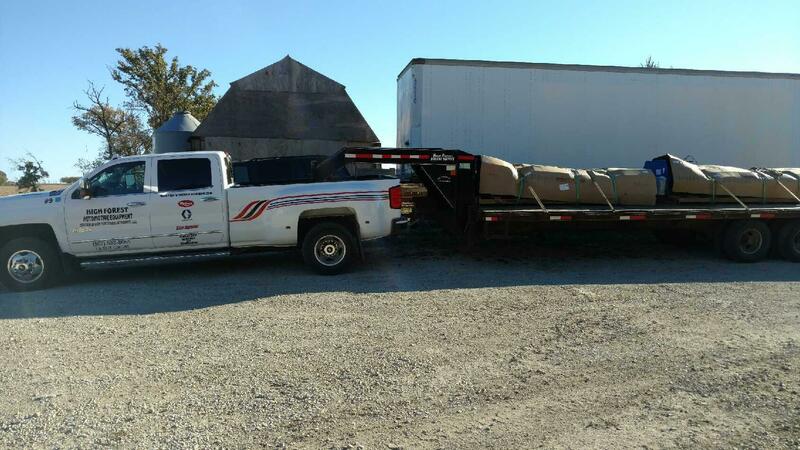 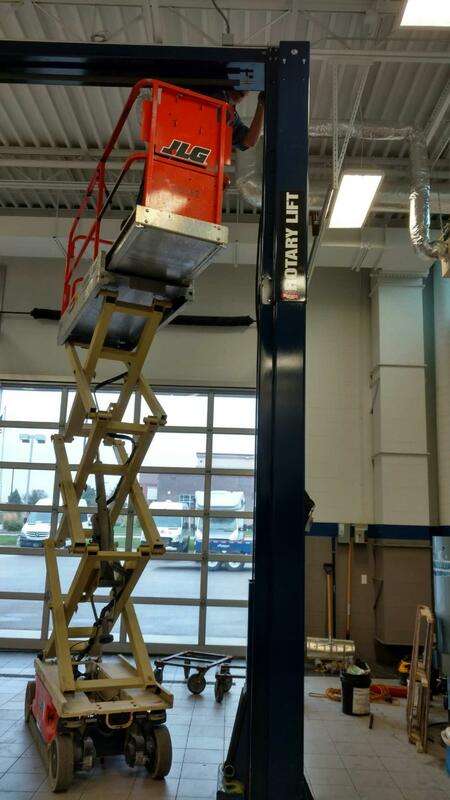 80,000 lb lift ordered to 32 foot long and installed as a flush mount. 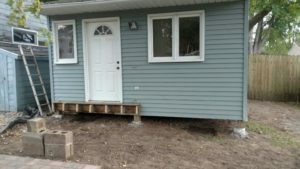 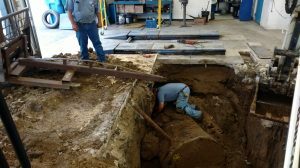 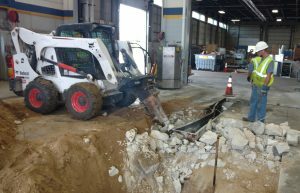 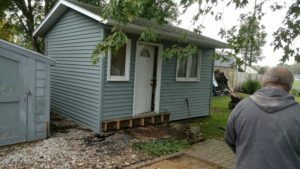 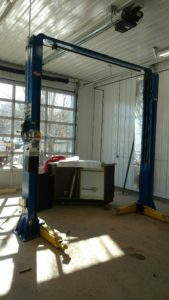 It replaced an old electric over hydraulic fore and aft inground lift. 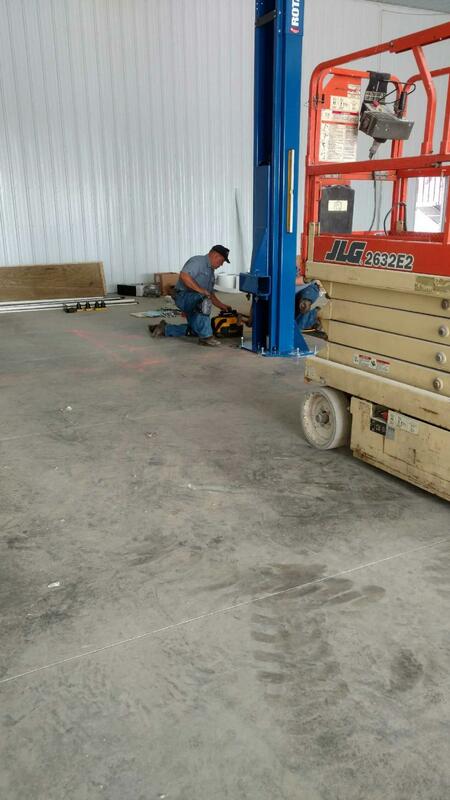 Byrne Electric assisted with electrical contracting and Legends Concrete as the concrete contractor. 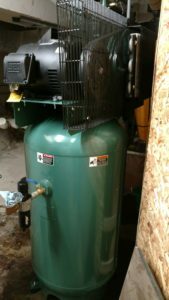 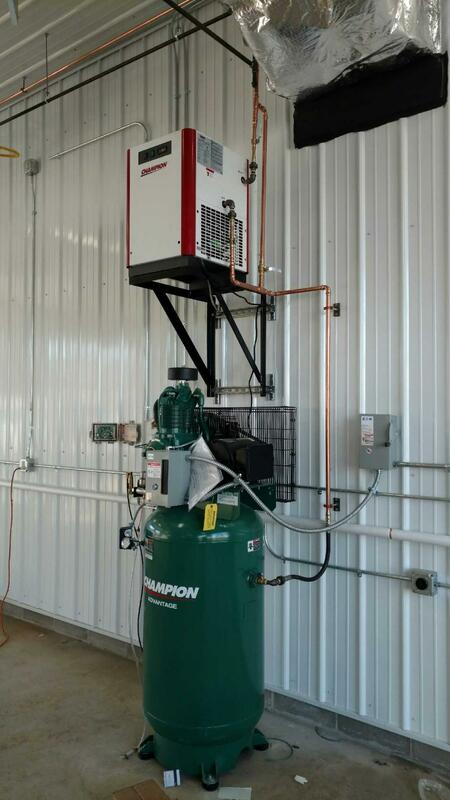 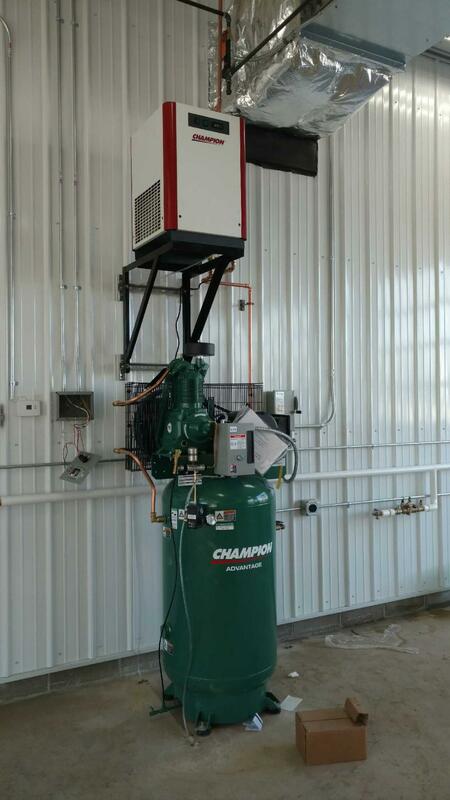 We recently installed this 7.5 horsepower Champion Advantage Series reciprocating air compressor with after cooler at Limb Lab of Rochester. 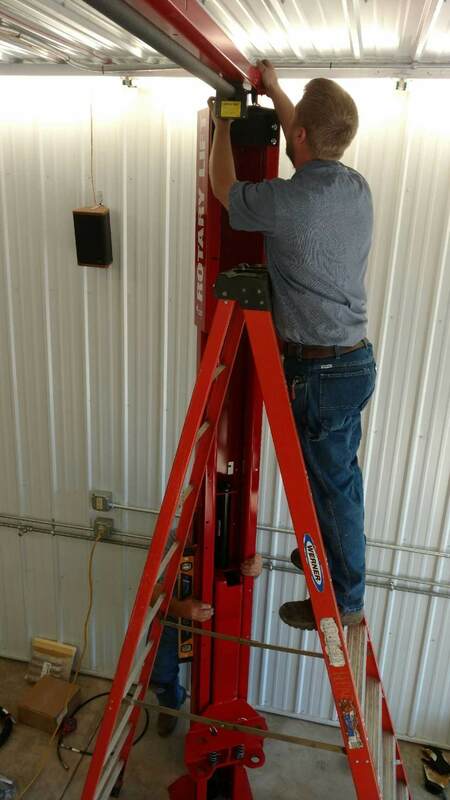 This works great to aid them in the manufacturing of artificial prosthetics. 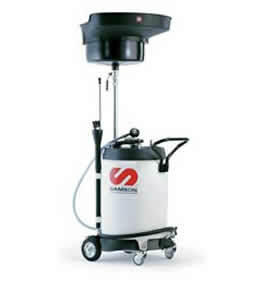 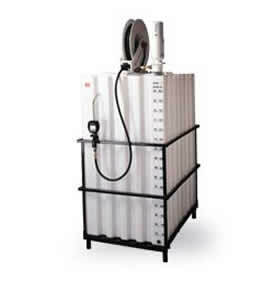 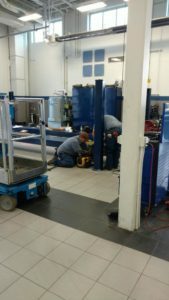 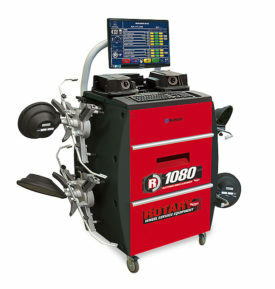 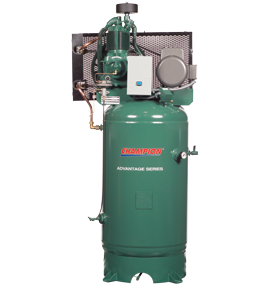 We can help you with all of your compressor needs, not just in automotive shops. 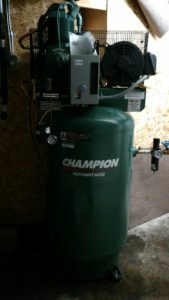 Thank you Limb Lab for letting us hook you up with this great compressor. 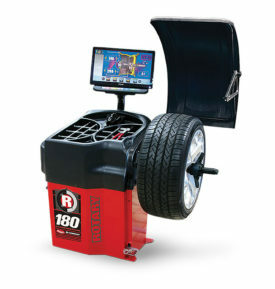 The new Mach Flex mobile units with a remote pending. 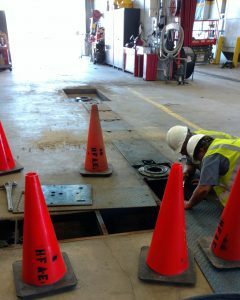 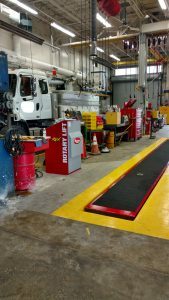 Rochester Service on 2nd had some new equipment installed this week. 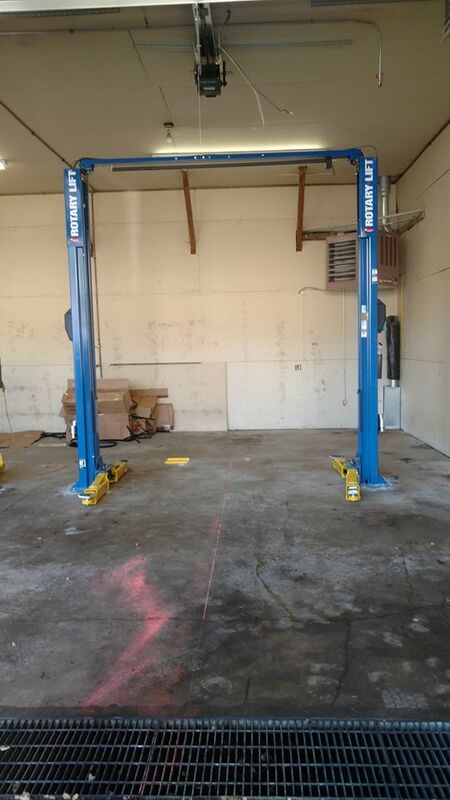 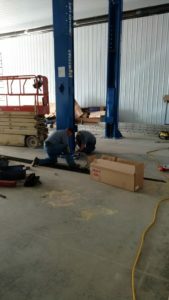 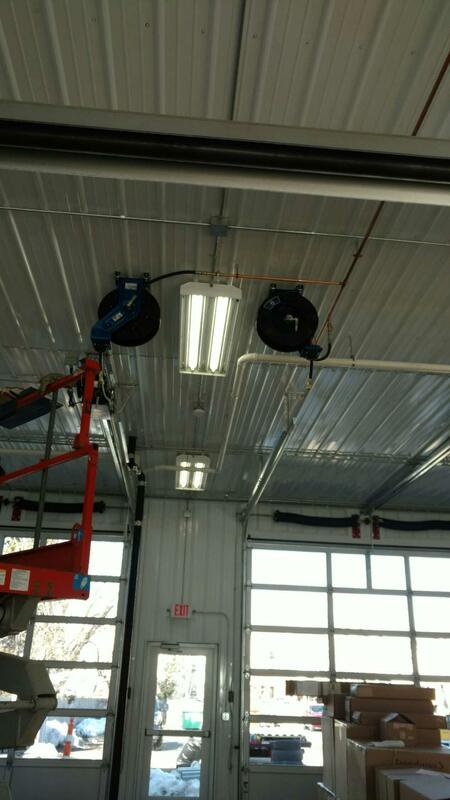 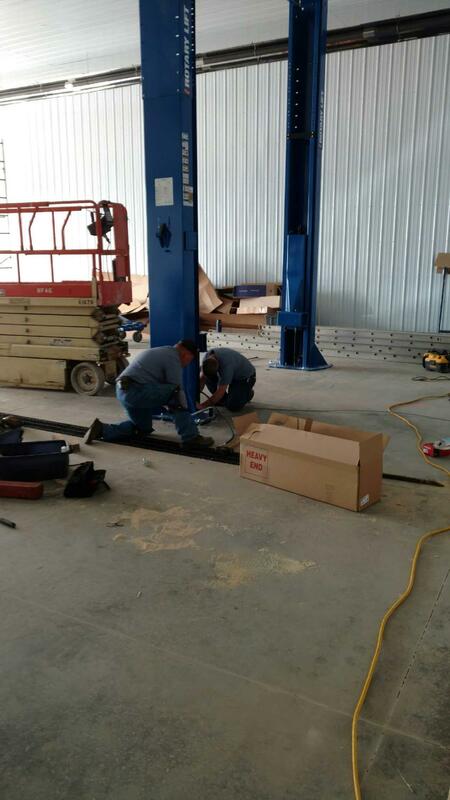 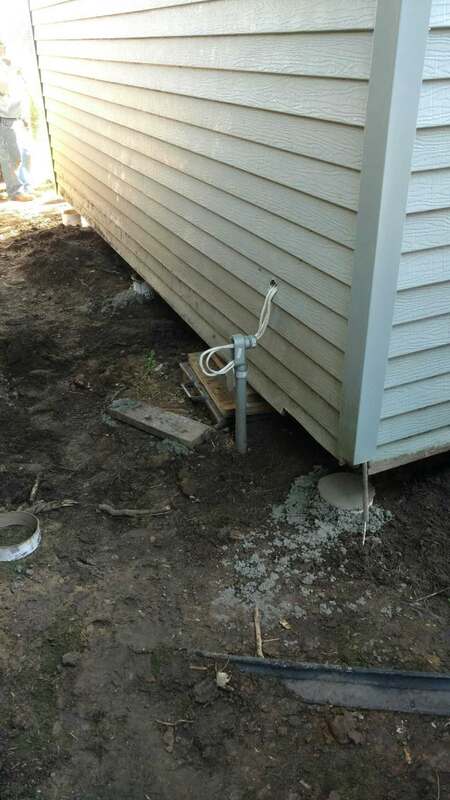 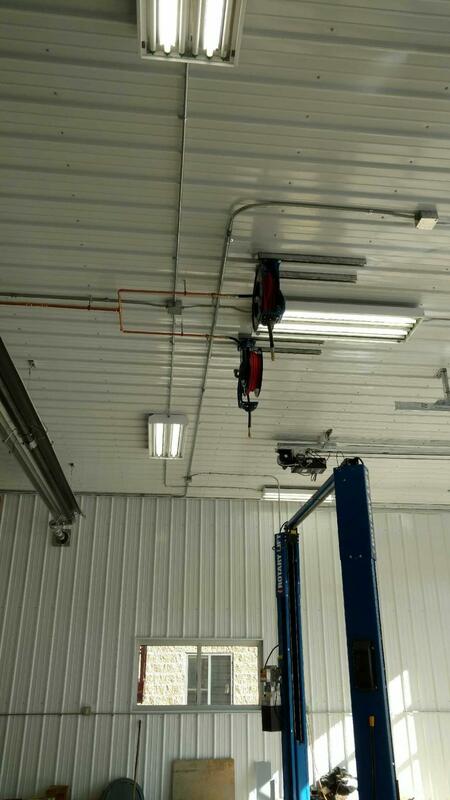 We installed one new Rotary SPO12 above ground 2-post lift with truck adapters. 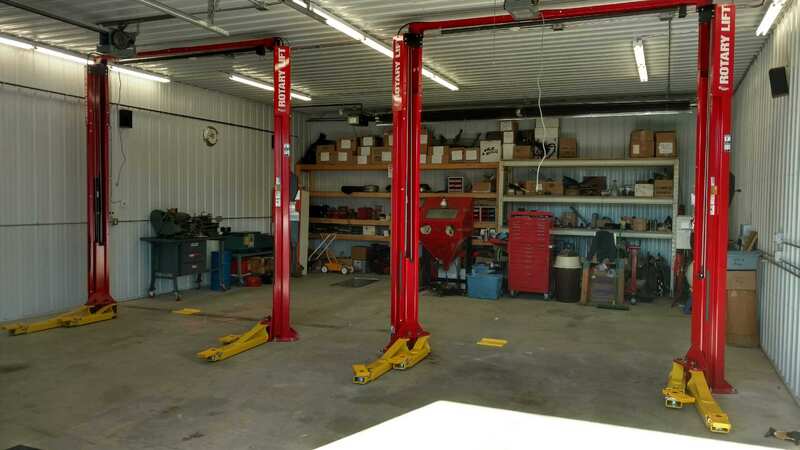 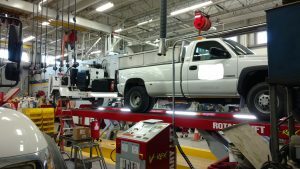 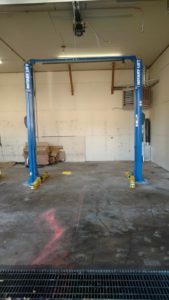 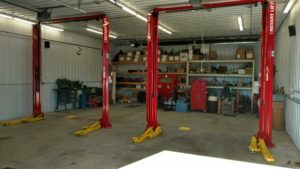 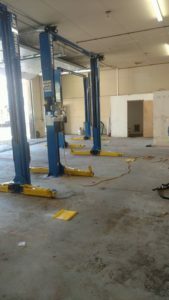 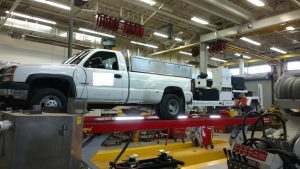 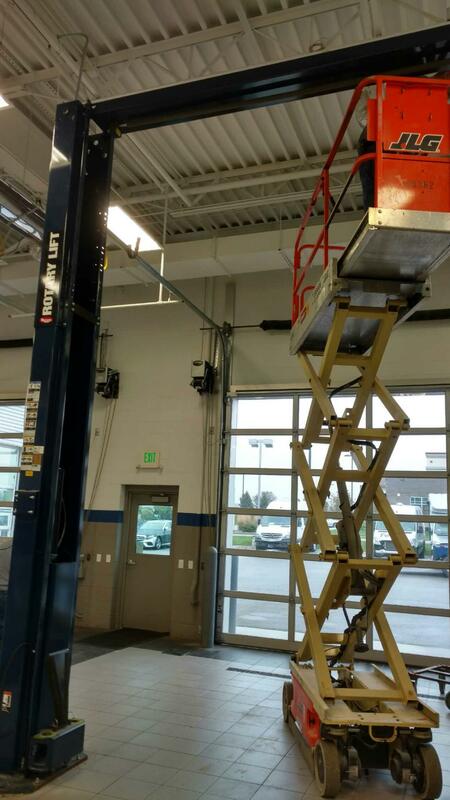 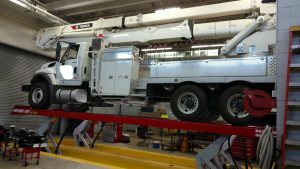 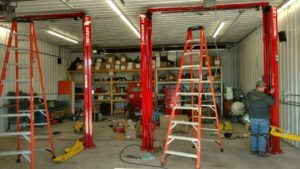 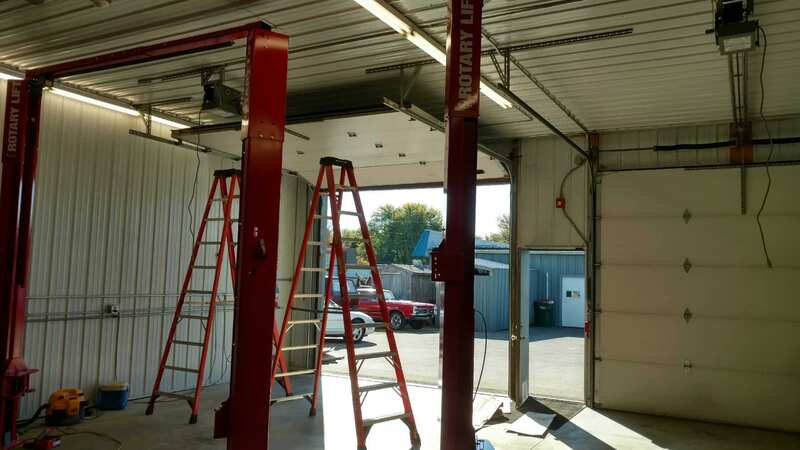 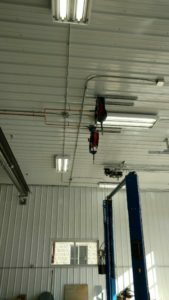 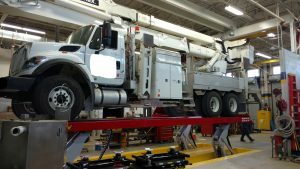 This lift has a 12,000 lbs weight capacity and a low ceiling kit to accomodate the ceiling height but still provide them with that extra lifting power needed. 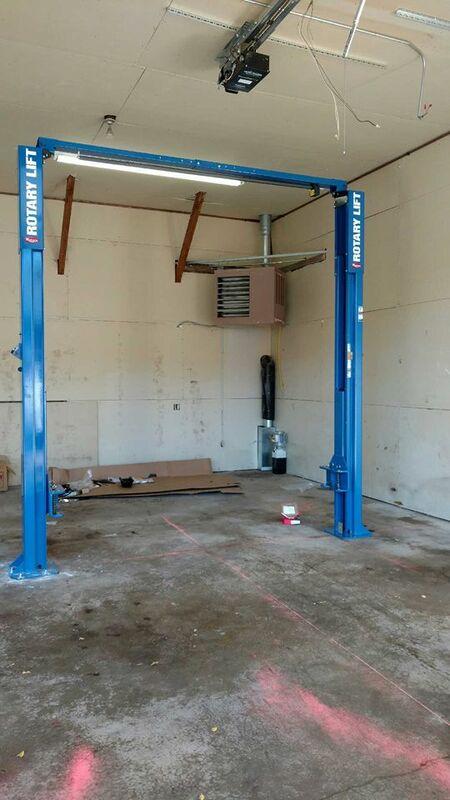 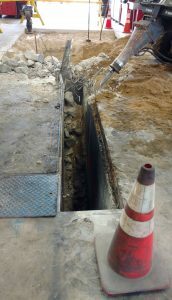 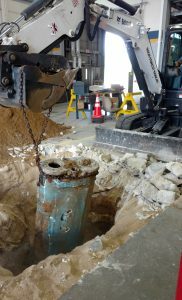 We also reinstalled a Rotary SPOA10 above ground 2-post lift that was moved for their construction project. 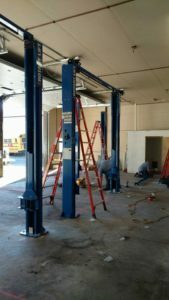 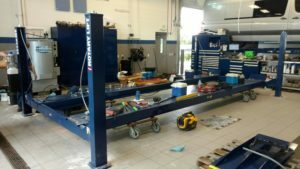 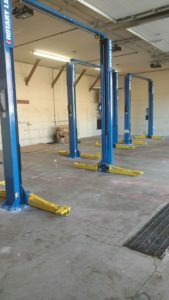 This lift provides them with a 10,000 lbs capacity and the asymm…etric columns allows more room to open doors of the vehicles for improved access to vehicle interiors. 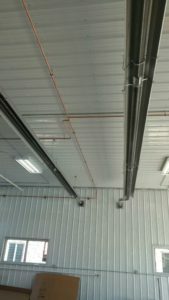 We also installed the air lines, Graco air reels, and a Champion Advantage VR5-8 air compressor with a Champion air drier. 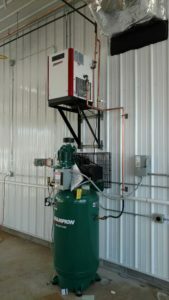 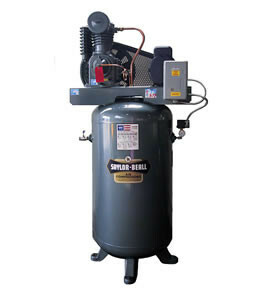 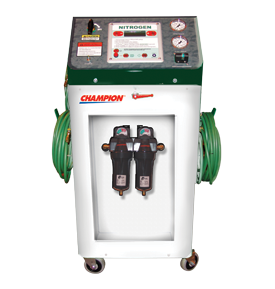 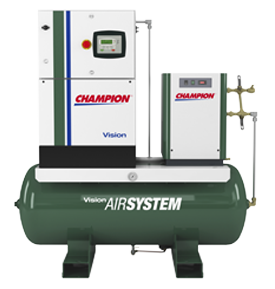 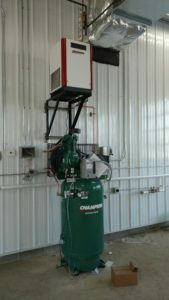 This 5 horse power single phase air compressor provides them with peace of mind as Champion has long provided the industry with long-lasting, reliable equipment when downtime is not an option. 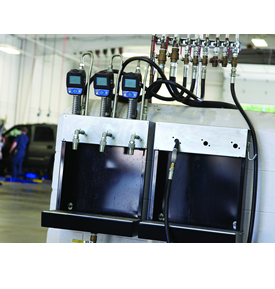 For all of your automotive equipment needs, we have you covered. 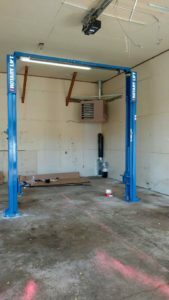 Here we installed three Rotary SPO10 2-post above ground lifts. 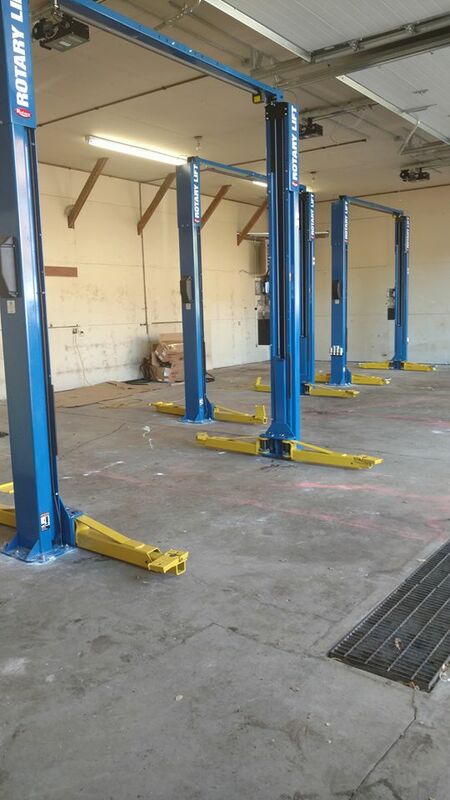 Each lift has a 10,000 lb. 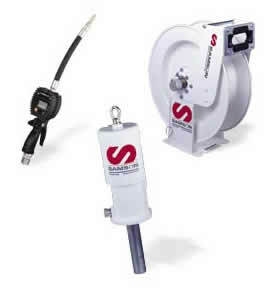 weight capacity and one is featuring truck adapters, the other two have flip up adapters. 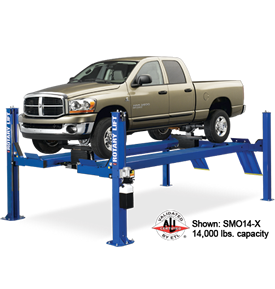 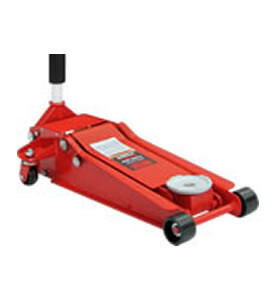 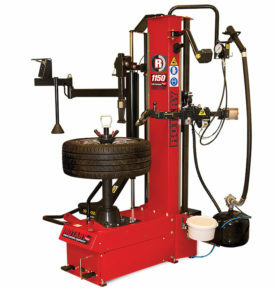 The Rotary 2-post lift has a variety of lift accessories to increase your bay productivity. 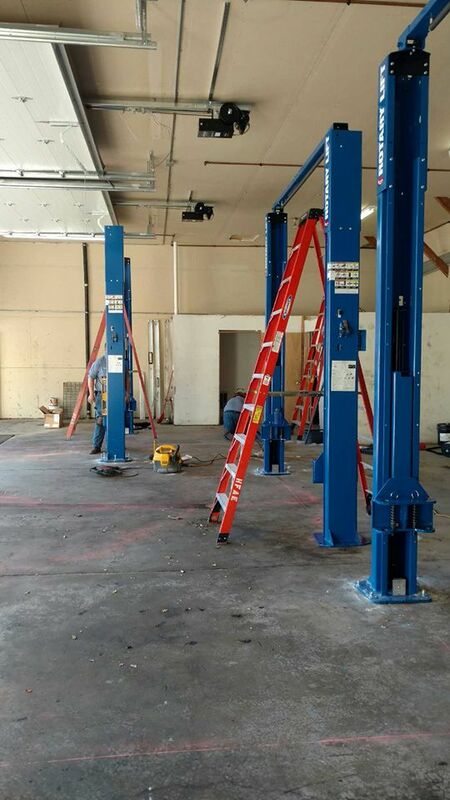 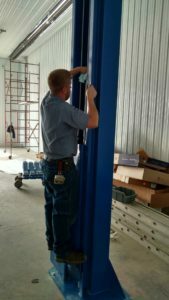 Installation of two Rotary SPOA10 2-post lifts with trio arms. These lifts have a 10,000 lbs. 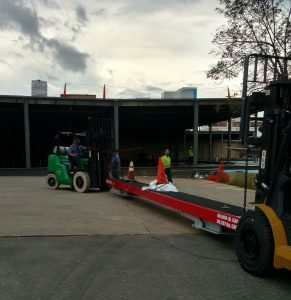 weight capacity and our asymmetrical. Asymmetrical lifting centers the vehicle to the rear of the columns. 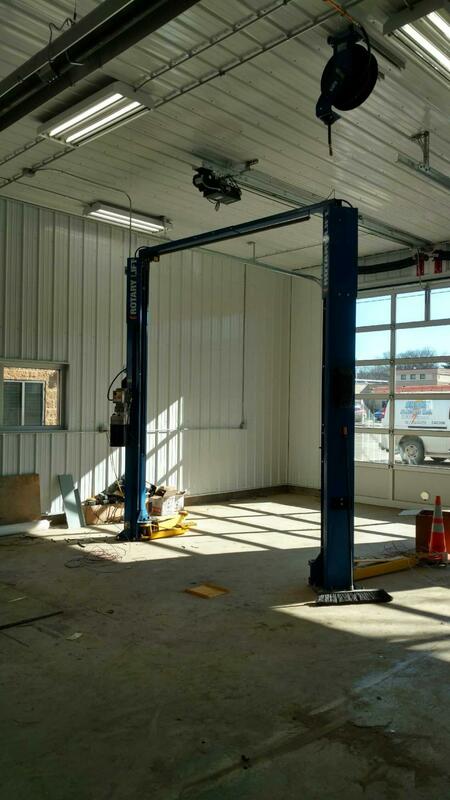 On A true asymmetrical lift the columns are rotated and arms are different length allowing for maximum door opening and interior vehicle access. 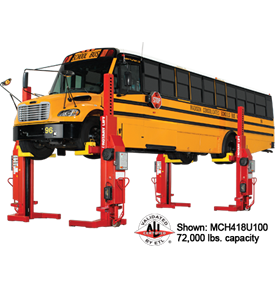 The rotated columns align the center of gravity of the vehicle, with the lift equalizing the load on the columns, carriage and bearings. 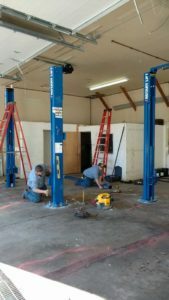 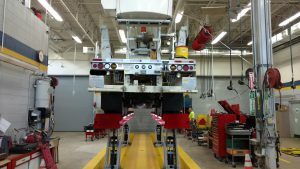 These benefits make an asymmetric lift ideal for cars, light trucks and other passenger vehicles. 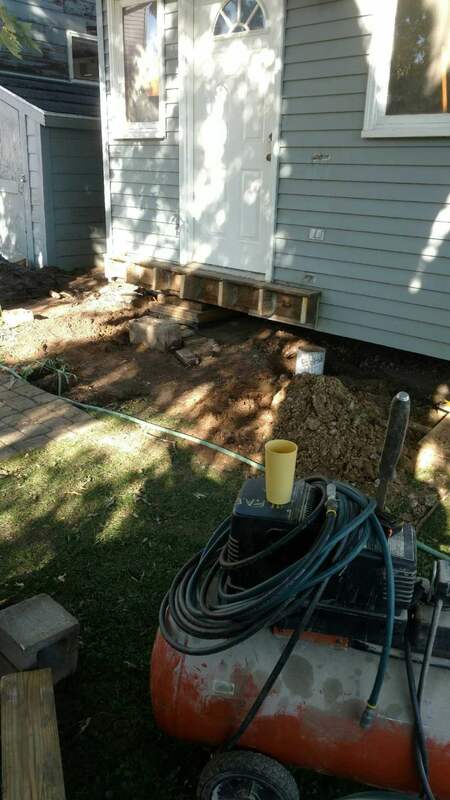 Here we put up one Rotary SPO15 2-post lift at Custom Retaining Wall in Rochester, MN. 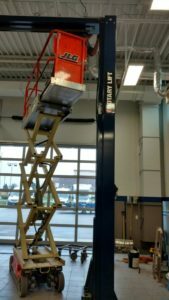 This lift has a 15,000 lb. 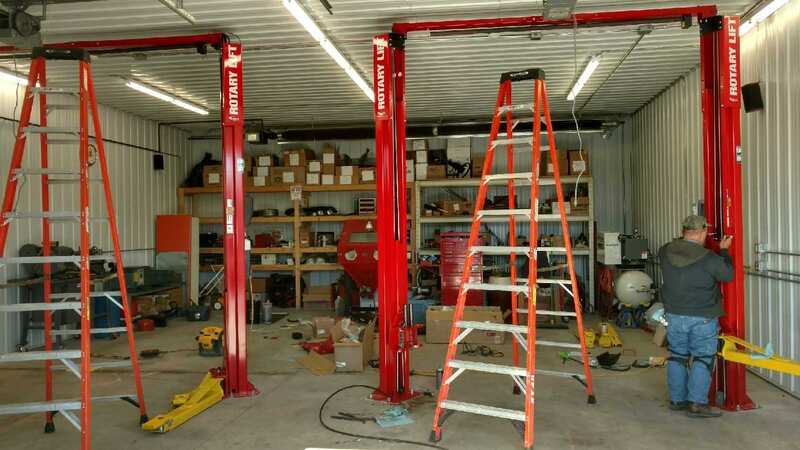 weight capacity and being a true symmetrical lift, the columns are not rotated creating a greater width between the columns. 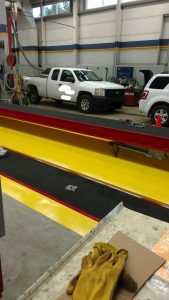 This accommodates larger vehicles and allows maximum door opening on trucks and vans improving access to the vehicles interior. Here we took a storage shed and blocked it up in the air. 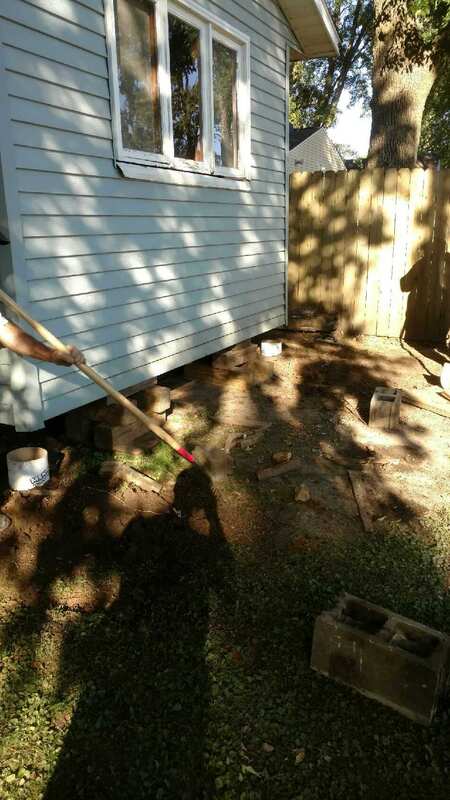 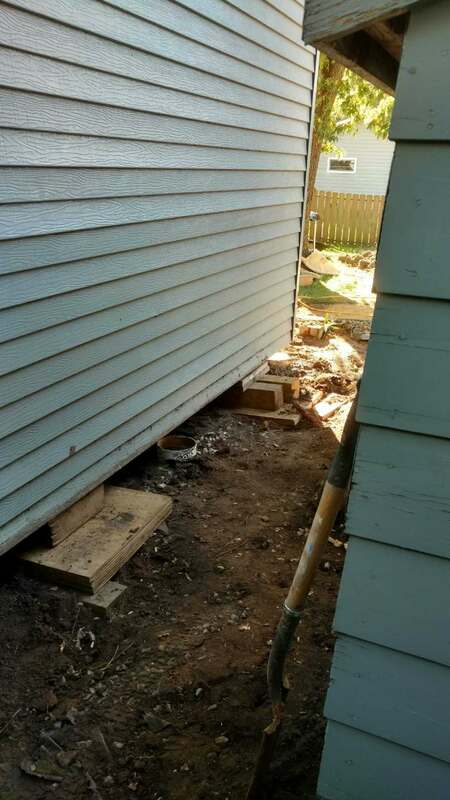 We then dug out 6 frost footing along the side of the shed. When the concrete was set we then jacked the shed back up and lowered back on to the new footings. 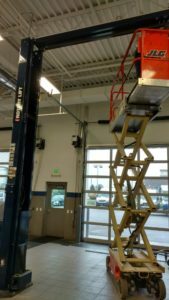 At Mercedes Benz of Rochester it was time for an upgrade. 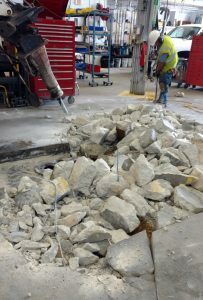 Here we removed a Rotary SPO15 2-post lift and replaced it with a Rotary SM18EL2 4-post lift. 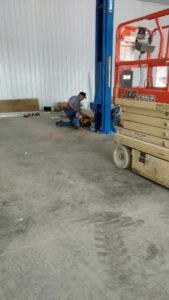 This lift has an 18,000 lbs. 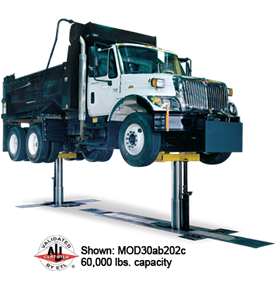 weight capacity and a variety of optional accessories. 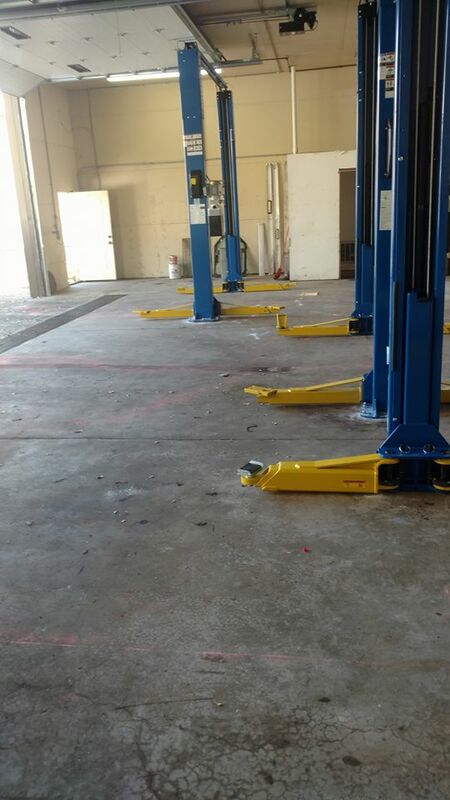 This one was purchased with the extended length feature and rolling bridge jacks to increase their service options.